What is the number one thing you need for these recipes? WALTER CRAFT CAESAR MIX- obviously! Its all natural and made right here in Toronto which is always and added benefit! The options? 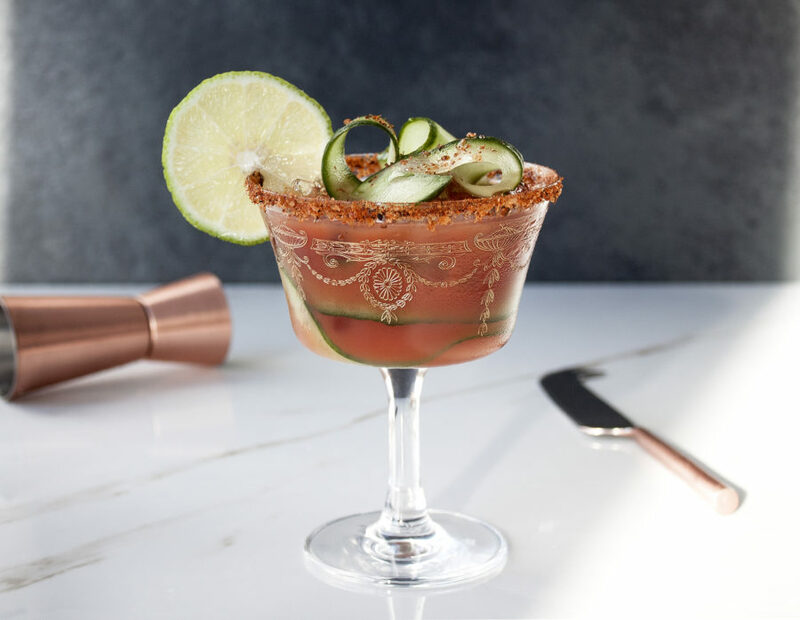 Mild Spice, Classic Spice and Ceasar Rim! 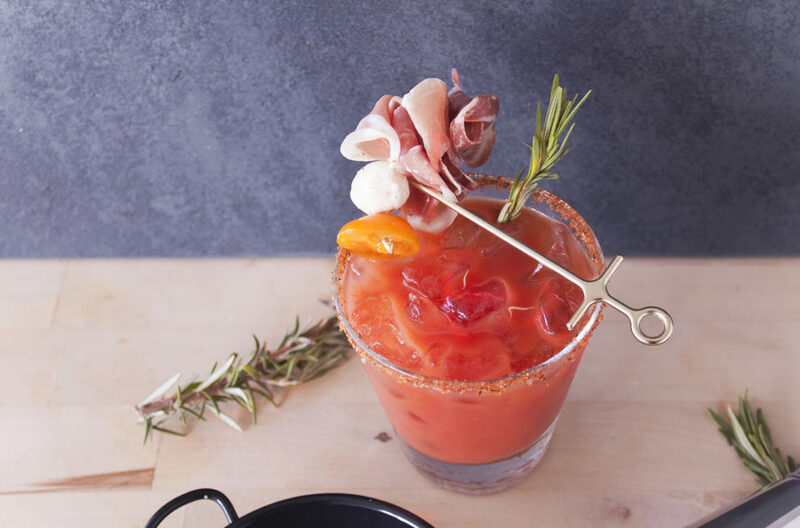 So here are a couple of my favourite holiday recipes that all contain Walter Craft Caesar Mix and is the perfect way to keep your family and friends talking about you and maybe even giving you something a little extra this Christmas! rim glass, muddle vodka & 1 sprig of rosemary ripped into 1” pieces, fill with ice, add remaining ingredients, garnish & enjoy. rim glass, fill with ice, add whiskey, Walter Craft Caesar Mix, remaining ingredients, garnish & enjoy. 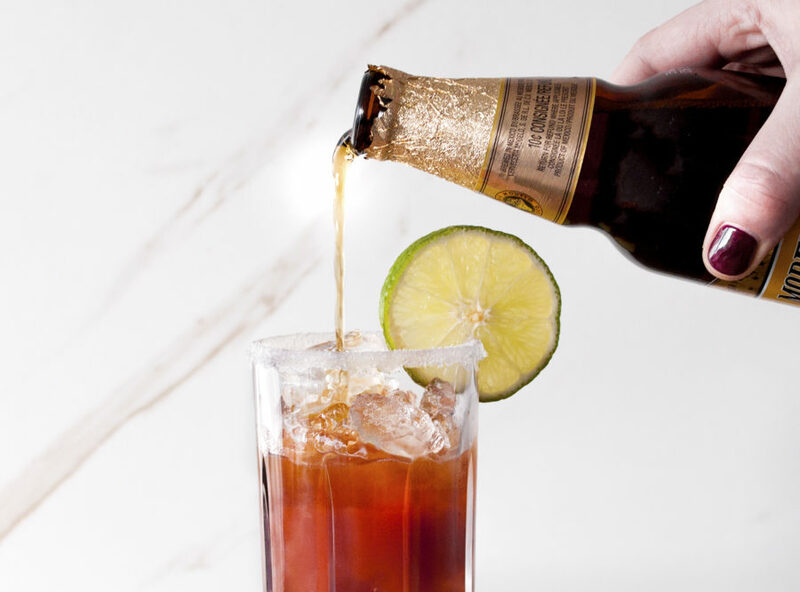 rim glass, fill with ice, add beer & Walter Craft Caesar Mix, stir gently, garnish & enjoy. This looks so delicious! I want to try all of them. Oh my goodness! These drinks look oh so classy and delicious. Sure to be a hit at any party! Each looks unique and delicious. They’re all very creative . 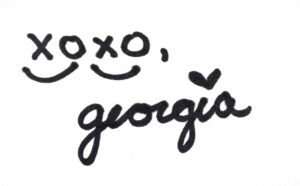 Georgia! These are great holiday drink ideas! My husband would love all of these for sure. I can’t wait to try them out. Your drinks look perfect!! YUM!!! Now I am so thirsty!! I was actually looking for some drink ideas for our christmas lunch! This is perfect! Thank you so much for sharing this! Fun post!!! All the drinks look amazing! Id like to try the classic for sure! These look so yummy and delicious! I am not big on alcohol though – just wondering, does it taste equally nice without spirits? I love clamato juices, could this be a replacement for them? Yay to Toronto-sourced products! I’m normally not much of a savory drink person but these do sound amazing! Not only that but they LOOK beautiful too! I am about to go shopping – and a list like this is exactly what I was looking for! Thank you so much! Looks so great! I just got so excited for my holiday parties!! These drinks look amazing. 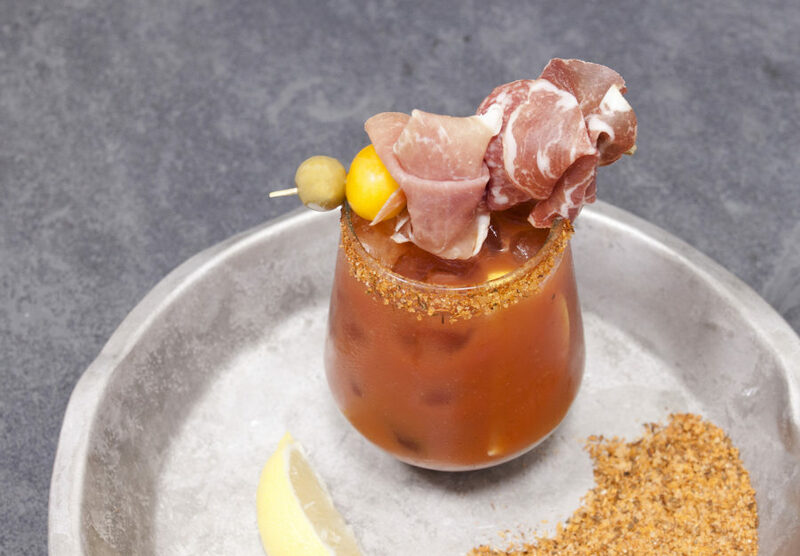 I’ve never tried the WALTER CRAFT CAESAR MIX before, but I love all the different combinations and recipes you’ve given us! 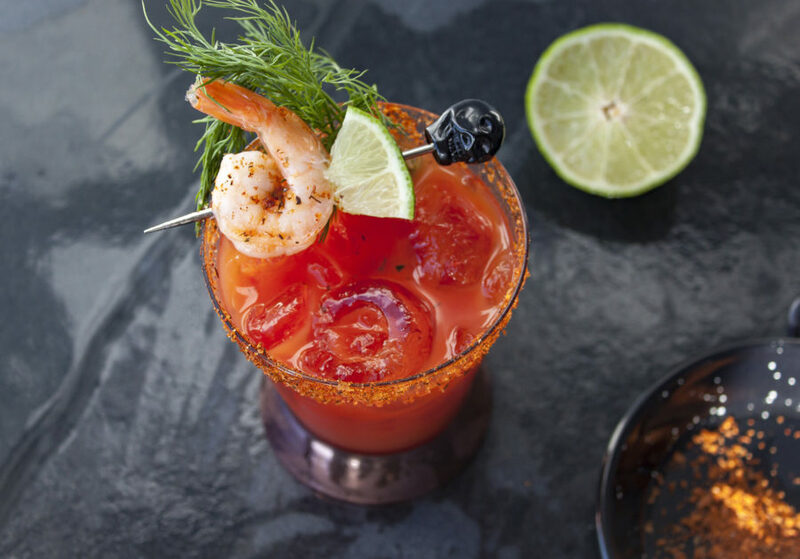 Do you have a favorite between the Mild Spice, Classic Spice and Ceasar Rum options? Oh my goodness…it’s not even 10am yet and now I want a cocktail. They all look delicious but Pacific Storm I think has won me over. I mean, it’s garnished with grilled shrimp- how can I say no?!? Delicious, can’t wait to try out these new recipes! Oh my gosh these drinks all look AMAZING!! I’m going to have to give all of them a try for our holiday party this year — there’s something for everyone here! Also, I love how you labeled each one “Naughty” or “Nice” — that is such a cute touch!! Thanks for sharing these (bookmarked!)! ok now I’m headed to the store right now so I can try all of these!!! They look ammmmmmmaaaaazzzzzzing!! Thanks for sharing these great cocktail recipes! Oh my goodness! My mouth is watering looking at these yummy drinks! I’ve never tried anything quite like them. My husband would be all over ALL of these. Thanks for sharing the recipes!